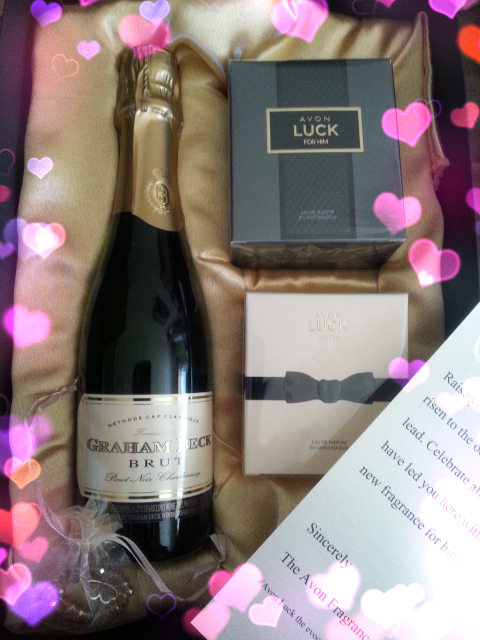 A couple of weeks ago Avon sent me a spoilicious press pack for the launch of their new fragrance. At that point I had already seen the advert on TV which I still love as it oozes elegance and class like the fragrance itself. 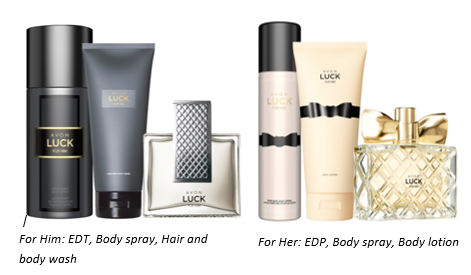 The eau de parfum for her and the eau de toilette for him is priced at R370 and have accompanying items. Avon Luck for Her is a floral-fruity-oriental, and is signed by perfumer of the house of Givaudan, Adriana Medina. The composition of the fragrance leaves a luminous impression of Italian bergamot, red berries and mandarin combined with queen of the night flowers and white flowers, resting on a base of velvety sandalwood. It smells a lot like Paco Rabanne lady milionare. The fragrance is presented in a glass flacon with a golden ribbon. I especially love the gold bow. A gorgeous bottle to display on my dressing table. The male edition, Avon Luck for Him is composed of wood, amber and aromatic shades. The composition was created by perfumer of the house of Symrise, Dave Apel, and he enriched it with notes of mandarin, pink pepper, spices, wood and sandalwood. 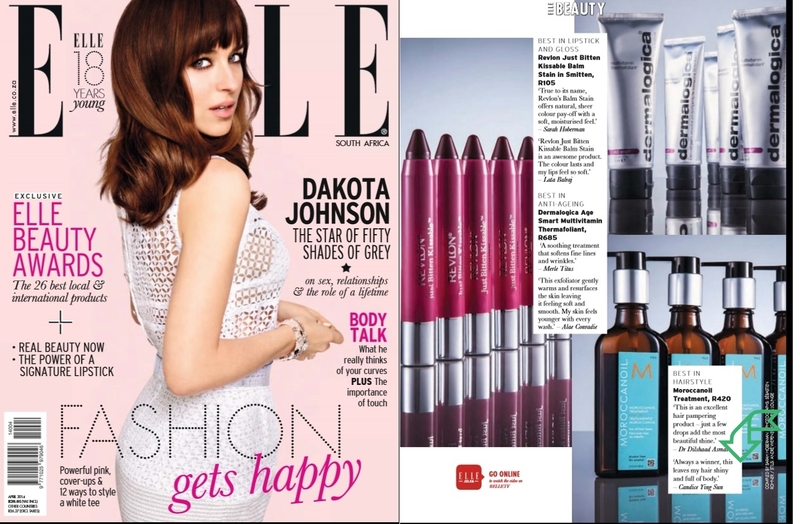 Both these fragrances have been created to leave a lasting impression and lasts up to eight hours long.